Patients seeking safe, comfortable, convenient, quality care can visit the Outpatient Surgery Center located at Oak Valley Hospital District. Getting medications or other treatments, such as a blood transfusion or basic wound care, no longer requires a hospital stay. Patients can receive their medications and treatments only minutes from home. Less time spent on traveling means more time spent with loved ones. We treat our patients safely and efficiently utilizing new equipment and advanced technology. Recognizing each patient as an individual with unique needs, we provide service with competency and compassion to ensure the patient has an outstanding experience. 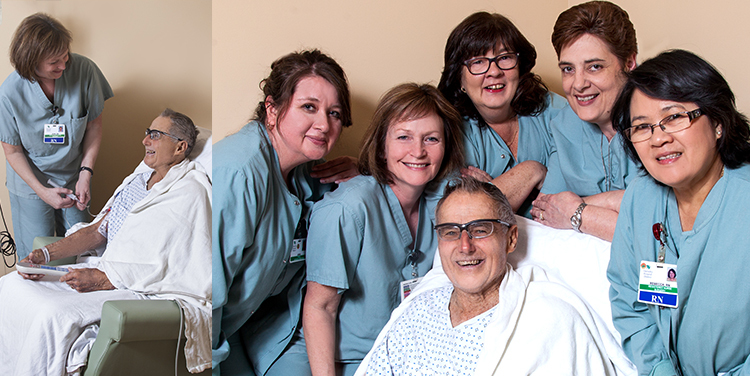 Our beautiful surgical department is staffed with nurses trained in infusion therapies and wound care. Our infusion room is beautifully decorated with the luxuries of a comfortable recliner or chair. Within the Ambulatory Treatment Center, we offer a bed for longer infusions or for individuals who are unable to tolerate sitting in a recliner. We provide blankets, pillows and food during regular meal times. Patients can watch T.V., read books/magazines, take a nap or just relax in a quiet, dimmed room in a cozy recliner. They are welcome to bring any item to help pass the time. During this time, an experienced infusion nurse will closely monitor their therapy while reviewing health information, answering questions, providing education/information and helping alleviate fears. Keeping the patient relaxed and providing excellent care while they are undergoing infusion therapy or treatment is our top priority. **By appointment on weekends when needed to ensure timely treatment. A list of your medication and any medications you normally take during the day (for pain, diabetes, or blood pressure for example).